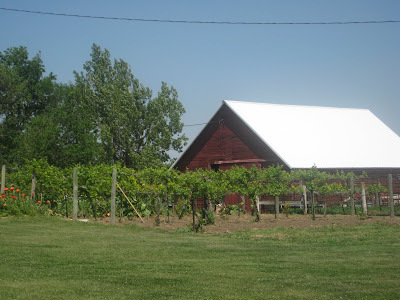 A few weeks ago Nathan and I decided to go to a local winery in Brandon, South Dakota. 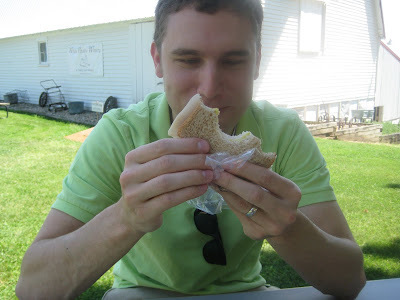 We packed up a delicious lunch of egg salad, cheese, crackers, and fruit and headed out to Wilde Prairie Winery. We have always wanted to go to a winery and do some sampling so why not start in South Dakota! We made our way out to Brandon and met this nice husband and wife who run the winery out of the basement of their old barn. It was very quaint! The barn we went inside. In the bottom they had all the canisters where they made wine. They had all different kinds of wine including Dandelion Wine, Apple Raspberry Wine, Rhubarb Strawberry Wine, Strawberry Wine and Pear Wine among many others. It was definitely on the sweet side but they had some nice red wine as well. The strawberry seemed like it would be a great dessert wine! So after the sampling session we purchased a couple bottles of wine and then headed back outside for a picnic. 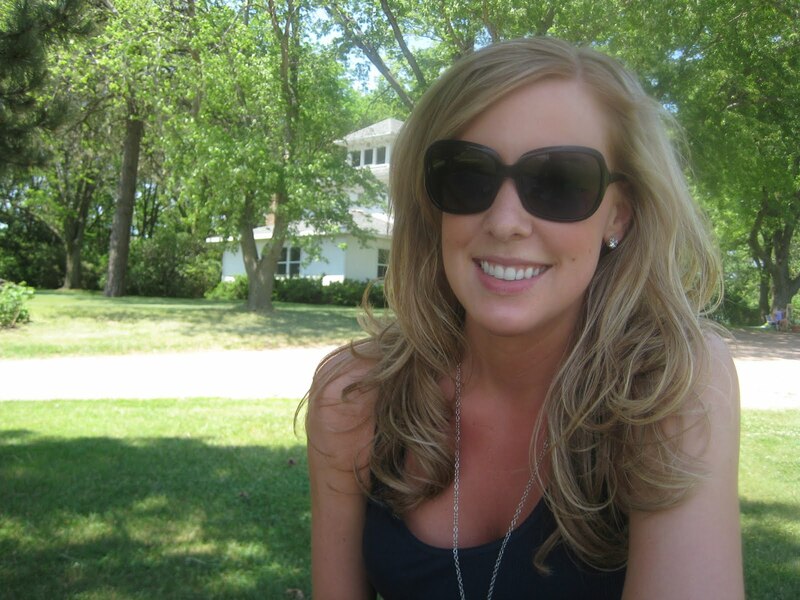 Enjoying the beautiful day and the picnic! 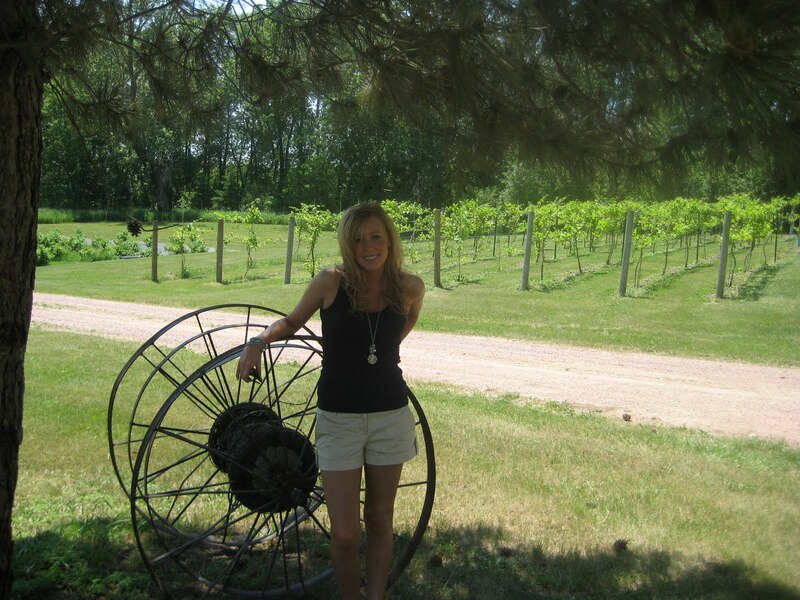 We had a great time that day and can’t wait to try out the other wineries in South Dakota. 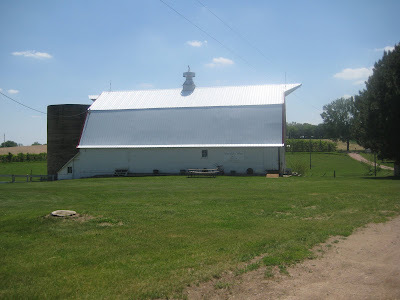 There are 8 total and in August we plan on attending The Great Dakota Wine Fest at Valiant Vineyards in Vermillion, SD. This event features grape stomping, food booths, live music and of course South Dakota wine from all the wineries around! Maybe someday we’ll take a trip to Napa Valley and do some wine tasting there. Who knows what the future holds!